Looking for specialized range repair Vaughan technicians? Look no further. Our company can help you with range needs. Call us if you want to repair range problems. Is it an electric range? Is it gas powered? No worries. At Appliance Repair Vaughan, we fix all models and types. You can trust our local pros to take care of the oven and stove range but also to install a new appliance too. 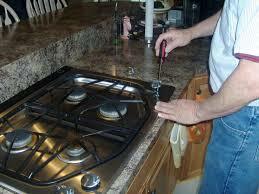 We are as fast as possible when you are in need of gas range repair in Vaughan, Ontario. It’s best to avoid using the appliance if there is a problem with its performance. It’s also wise to call us at once if you smell gas. When it comes to gas appliances, the time of our response is as quick as possible. Of course, our range expert will also rush to fix the electric powered appliance too. Call us today if you want electric range repair. Whenever the range becomes problematic, you won’t be able to use it or the appliance will simply not perform right. It might also waste energy, especially if the oven door gasket is not intact. Call us to perform any oven range repair needed. Whether you want us to replace the torn door seal or another part, rest assured that our techs will have the required appliance parts with them. We always travel in well-equipped vehicles and have all the tools and parts needed to troubleshoot problems, fix both ovens & stoves, make diagnosis, and fix your appliance. The worn range parts are replaced on the spot and you can count on our company to always install the best available on the market. Ask our help if you are seeking techs for gas range installation. Just like repair services, the installation of gas ranges requires great attention. And you can trust our team to be focused and take into account the special features of your new appliance. We make sure the connection of the appliance to the gas line is done correctly and the range is both safe and fully functional. Most certainly, you can always ask our assistance if you want to install an electric range too. Regardless of what you need, count on the skills and experience of our techs. Call us today if you need range repair in Vaughan.